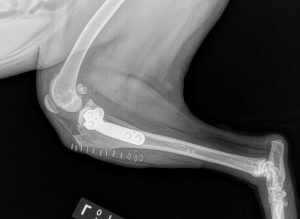 At Broadview Animal Hospital we offer orthopedic surgical procedures utilizing the latest technology and proven methods. 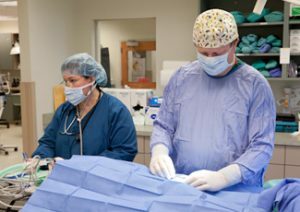 Dr. Norris and Dr. Chapin both have a strong passion for orthopedic medicine and perform multiple procedures every week. Each patient is of course unique and they will determine with you what would be the best approach for your pets medical condition. To learn more about common orthopedic related medical conditions and surgical procedures click on any of the links below. Orthopedic surgical procedures that we routinely perform. Some common orthopedic related medical conditions. Dr. Norris and Dr. Chapin are both general medicine practitioners (Not Board Certified Specialist) that have trained extensively in orthopedic medicine throughout the country. Dr. Chapin has attended the Ohio State Fracture Management Course, numerous conference presentations and the Oquendo Center T.P.L.O. Course in Las Vegas, Nevada. Dr. Norris has attended the T.T.A. Mid-Atlantic course and numerous conference presentations as well. They have each successfully performed hundreds of orthopedic procedures and often take in referrals from other hospitals in the area. If you think that you pet may have an orthopedic condition please give us a call at 603-335-2120 to schedule an appointment for further evaluation.